There are a lot of cool organized bike tours, fund-raisers and rides coming up. Proceeds from the ride in Pasco County will help the Police Unity Tour, a great bike ride cause that raises money for a law enforcement memorial in Washington, D.C. The Bicycle Stories Tour de Spring Training stopped in Dunedin today for the Toronto Blue Jays' home opener between the Birds of Toronto and the Detroit Tigers. The Dunedin ballpark is a small and non-descript ballyard with not much character. It's kind of quaint -- but also kind of plan with no real distinctive feel like the giant concrete spaciousness of the Yankees' 11,000-seat palaca off North Dale Mabry in Tampa or the Phillies' modern amenity-filled ballyard off US 19 in Clearwater. But these Toronto-ites are awfully pleasant and courteous and nice -- if not pasty-white. And there's a certain earnestness to the atmosphere of the stadium that harkens back to a time when baseball wasn't dominated by talk of steroids and Congressional hearings and drug-enhanced cheaters. I met my pal Jeff, author of the famed sidesalad.net Web site, for the festivities today -- and let's just say we didn't shy aware from our usual fare of hijinks. You have to love fans at these spring games. This lovely couple dressed up their baby for the game. That's JP Peterson, radio sports guy for AM-1470 and the Channel 8 sportscaster. Some creative marketing -- this gal was handing out a free grapefruit to every fan because spring training in Florida is also known as -- all together now -- the Grapefruit League. So, Major League Baseball is finally back -- there are some real major leaguers in that spring training opening lineup at the Dunedin ballyard named for a local cable TV provider. This Toronto Blue Jays fan thought he ordered a Canadian brew, but just found out it's an American beer. Tough luck, bro. Guess which guy is the real major leaguer -- it's the fella on the left. I believe his name is John McDonald. That's the Big Hurt himself, Frank Thomas, signing autographs for Jays fans. They have cliche contests like who can put on the frozen shirt the fastest. Let's just say the Dunedin stadium is a bit shy in amenities, but the beerman made up for the dearth in entertainment. They ride their bikes to games. And, here's my favorite seat in the place. Thank you SHBC members Steve Swiger, and Lisa and Rick Hickman. 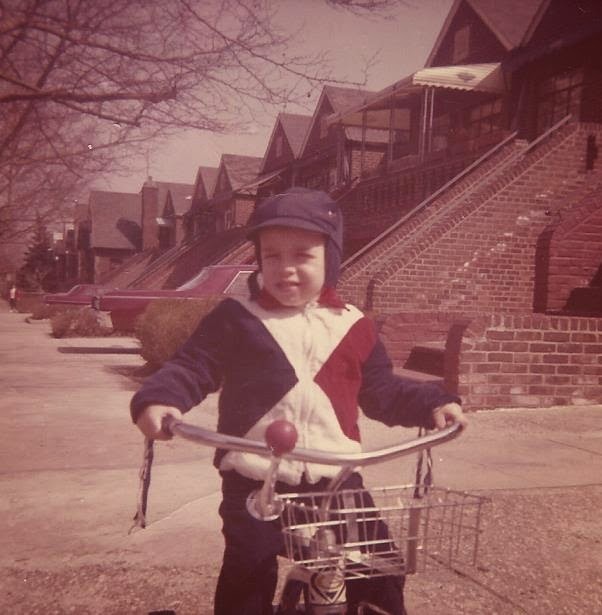 Also, a reminder that the SHBC's next bike ride is tomorrow at 9 AM at 1203 East Powhatan Avenue. It will be a very slow, leisurely family/kids/adults ride of about 4 miles. While biking south on Tampa Street into downtown this afternoon, I encountered this fella -- a sidewalk bicycle repairman who set up shop at this bus stop. It's not every day you see a bicycle wrench working right on the street. The bike lane on Tampa Street ends in the middle of downtown Tampa, but at least this "Share the Road" sign was installed on the south side of Kennedy Blvd. While I was biking on Jackson Street, which has a bike lane in downtown Tampa, I saw your Hillsborough County tax dollars in action at the county office building. This is my favorite waste of county dollars -- Hillsborough County Commissioner Jim Norman found $68,000 to build these smoking area shelters. Yet, I rarely see county employee-smokers ever use these pricy smoking shelters. 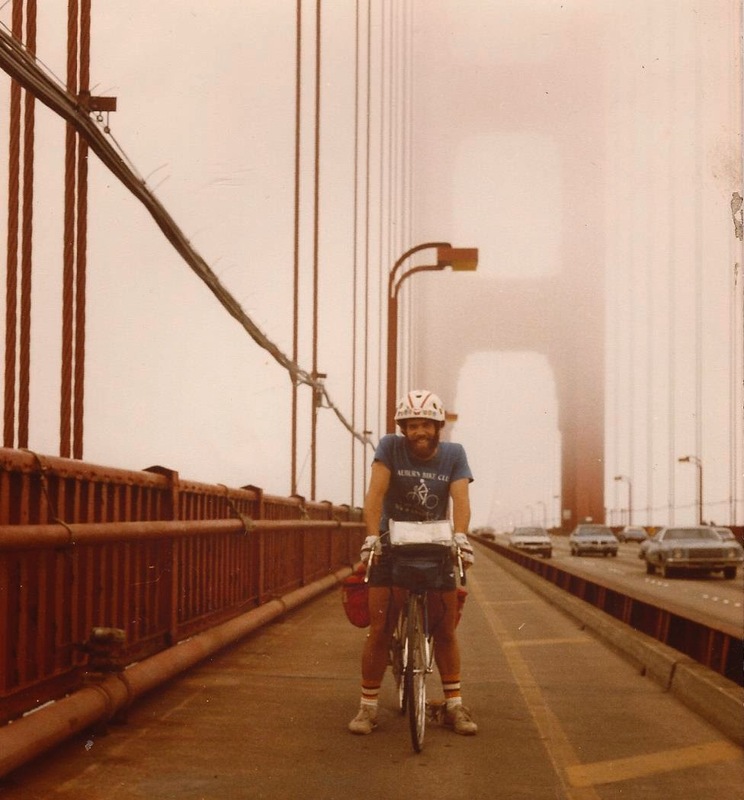 Bicycling gets a nice plug from this columnist for the Washington Post -- I'll be representing South West Florida Bicycle United Dealers (SWFBUD) at the 2008 National Bike Summit from March 4-6 next week. Bicycling’s best year since the start of the auto age? That’s the argument likely to be made March 4-6 as hundreds of cyclists from across the nation gather in Washington for the National Bike Summit sponsored of the League of American Bicyclists. A crescendo of trends and developments makes the case. First the trends: oil costs are surpassing $100 a barrel, global warming alarm calls are mounting, polluting autos and trucks increasingly clog city streets, and health concerns about a sedentary and fattening society are mounting. And now the developments: Handy bike-for-hire stations are proving instant hits in Paris and other European cities and seem poised to invade urban America. Moves to add painted bike lanes along city roadways are being eclipsed by proposals for entire networks of “bike boulevards” -- roadways altered radically to accommodate cyclists and pedestrians. And a companion “Complete Streets” movement -- making roadway space for cyclists and pedestrians, not just cars and trucks -- is gaining traction nationwide. Rep. Earl Blumenauer (D-Ore.), founder of the Congressional Bike caucus (now 160-bipartisan members strong), claims a new pro-bike politics is forming, that it can mobilize a 1-million-plus national constituency and force clear recognition of the role of bicycles in the next (2009) federal transportation bill. He and the Bike Summit will be pushing a sense of Congress resolution recognizing the potential of bikes to undergird a greener, healthier and more efficient national future. Cycling, nationwide, still counts for tiny portions of commuting and shopping trips. But Portland’s experience shows the potential, Blumenauer insists: since that city’s bike program began in the 1990s, the “modal split” for bikes has quadrupled and a $100 million industry of bike shops, bike sales, a start of manufacturing and bike tourism, accounting for 1,000 jobs, has emerged. Paris’ “velib” bike rental program -- the name combines “velo” (bicycle) and “liberte (freedom) -- opened last July and registered an astounding 2 million trips in its first 40 days. Twenty-thousand bikes are available at 1,450 cycling stations across the city. Insert a credit card to sign up ($1.50 a day to $43 a year) and you can drop your bike off at any other station, the first 30 minutes free. Almost identical systems are sprouting up across Europe -- in Lyons, Rennes, Barcelona, Oslo, Stockholm, Seville, Brussels, Vienna. Many others are soon to come including London and Rome. There’s also reported interest in Moscow and Beijing. This April the first serious U.S. fast bike-rental system is due to open in Washington, D.C., followed shortly by San Francisco. Considering the idea or in active negotiations are Houston, Tucson, San Antonio, Portland, Cambridge and Boulder. On the bike boulevard front, London sprang to world leadership with Mayor Ken Livingstone’s February announcement of a £400 million ($787 million) system of 12 two-wheeler superhighways connecting popular residential areas to city center. The roadways will have continuous, wide cycle lanes, dedicated junctions and clear signs, cutting a swath through traffic. Planners hope the London system will attract a “critical mass” of cyclists. Even diverting 5 percent of people from their cars and the tubes and buses, it’s estimated, would result in 1.7 million cycle trips each day. The Londoners also hope to set up special cycle networks around 15 suburban towns, connecting residences with schools, train and bus stations, parks and shops. Portland has its own version of bike boulevards -- remakes of residential streets that had been degraded by motorists using them as cut-throughs. With a minimum of traffic-calming devices such as speed bumps and traffic islands, cut-through traffic was effectively excluded. Contentious when they were first introduced a decade ago, the Portland bike boulevards have created quality environments raising nearby home prices significantly. But perhaps most important, they’ve marked a major shift from meeting needs of expert and intermediate cyclists. The focus, instead, is on making cycling welcoming for everyone -- kids, families and novice cyclists included. 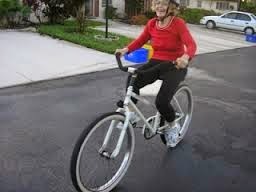 And in the long run, that’s what the worldwide and U.S. bike reforms will have to achieve -- a world of safe cycling for people of all ages, both sexes, all skill levels. If we get there, you can mark 2008 as a big year on the route. Sometimes the most in-your-face, obvious things in your life are so transparent in their daily presence that you just assume they're part of the daily routine like breathing. Which brings me to the trees in my Seminole Heights neihghborhood -- and breathing. I always wondered why developers would clear-cut woods since, after all, it's the trees that supply us with something called oxygen. And this morning when I took a jaunt around the neighborhood when the sun is just inches above the horizon and the light is just so lovely, it's hard not to be mesmerized by the big oaks that live in Seminole Heights. It's what makes this neighborhood so cool. Take a look. Tonight, Bicycle Stories journeyed to the hockey arena in downtown Tampa to catch the new-look Tampa Bay Lightning. Nearly four years ago, I was working on the news side of the local newspaper while covering the Lightning's historic march to a Stanley Cup championship in 2004. But this week, the Lightning traded the hero of that championship run, a popular fella by the name of Brad Richards, amid some major changes like a potential new owner trying to buy the club. Tonight, some fans still could not part with their Richards' jersey -- the number 19 sweater. Even with a popular player such as Richards gone, the show must go on. Here's the Lightning mascot -- ThunderBug -- getting ready to hit the ice before the game between the Lightning and the Minnesota Wild (that's the actual nickname). A bit alarming tonight was the hundreds of unoccupied seats. There was a subdued feeling in the building, as the Lightning lost to the Minnesota Wild by a score of 3-2. It seemed like fans were trying to adjust to the Lightning's new players. On the way to the arena, I saw a car parked by the county office building with a bicycle-theme tag and this sticker. Uh-oh. Our bicycle friend's car got ticketed by the Tampa parking gestapo. Looks like the driver better drive his bike downtown next time to avoid the ticket hit. Matt Swenson of the Seminole Heights Bicycle Club sent in this item. Literally around the corner from the local DOT office on Fowler Avenue near the USF campus, Fowler's bike lane surface has been stripped and this "turtleback" bumpy layer is all that's left. Someone from the DOT told me last week that a fresh, smooth surface of asphalt will be applied, but they don't know when. Today while biking home from Flatwoods on the north side of Fowler, I saw a bike lane symbol painted on this turtleback surface. But here's why I don't and won't bike on this surface -- take a look. Would you want to be biking on this surface? Instead, I bike inside the traffic lane and won't go in the "bike lane" as long as it's in this very rough and bumpy condition. 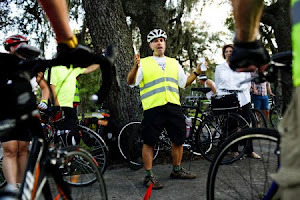 During my Seminole Heights walk last night, I see all types of bicyclists. Like this fella, who told me that he was cycling this recumbent for the first time. 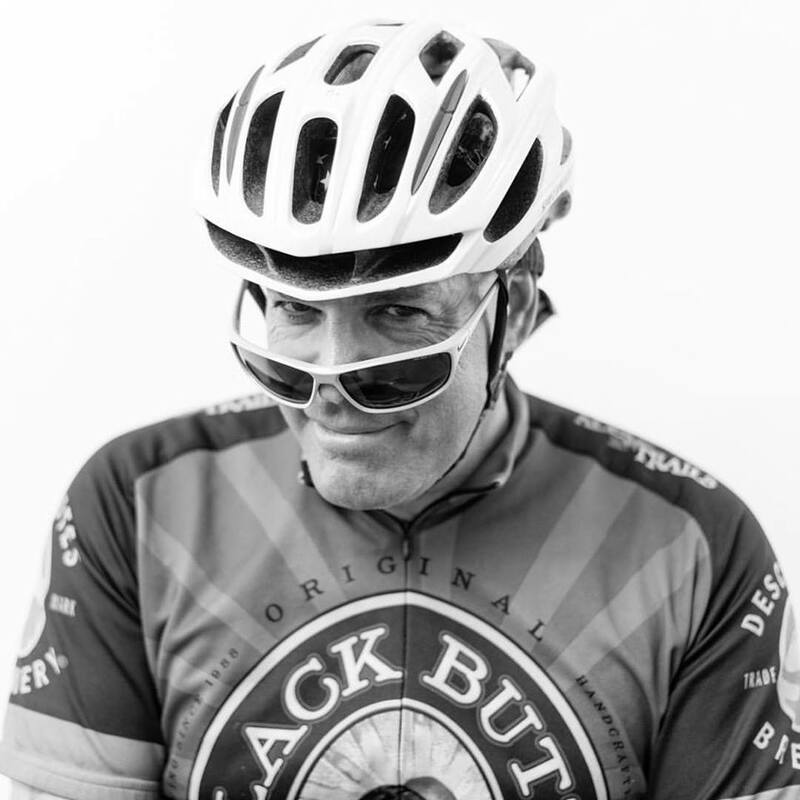 No matter what the age, the smile of the bicyclist transcends everything. These kids were trying to pump air in the front tire when they called over and asked for help. Bicycle Stories obliged and advised the kids to wear helmets when they pedal. Biking back from Flatwoods this morning, I saw this fella on Rowlett Park Drive in the Sulphur Springs area. Check out his wheels -- it's a literal chariot with a space in back that he said he uses to carry his kid. I made a pit stop in Century Village in Boca Raton over the weekend and saw my favorite parking space -- the owner of this space uses a bike rack to secure his wheels. This morning I biked some 54 miles from Boca Raton to Palm Beach and West Palm Beach and back under cloudy skies. 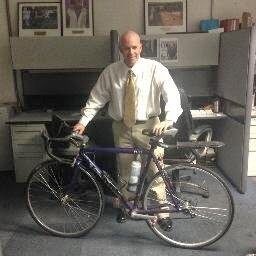 I've biked all around Florida and I'm here to say that Boca Raton is the friendliest city for bicyclists in the state. There are bike lanes all around the sprawling city in south Palm Beach County, and there are literally hundreds of cyclists zipping up and down A1A between Miami and Palm Beach. I noticed the epicenter for A1A cycling was Boca Raton, which has bike lanes along A1A AND a paved path along the side of the road for joggers, walkers and roller-bladers. There's a lot of wealth along A1A. Here's a cyclist zipping along A1A in the town of Highland Beach, which is just north of Boca Raton. They take their landscape trimming very seriously in Palm Beach. The famous royal Palms of Palm Beach. They sure build those hedges high in Palm Beach. OK, maybe the lawns in Palm Beach are a bit nicer -- and smoother -- than mine. You can play billiards on this front lawn on A1A in Palm Beach. Terrific bridgework on the drawbridge spanning the Intracoastal at Boynton Beach. In Delray Beach, they love Bush. The famous barefoot mailman of Hypoluxo. History is so easy, isn't it? Rec center on US 1 in Lantana. While biking back from Palm Beach to Boca, I pedaled into an accident scene. It looks like a car leaving a parking lot struck a cyclist who was biking past the lot. I had the distinct honor of accompanying Bicycle Stories Mom to a concert first for me -- seeing Barry Manilow at the Florida Panthers hockey arena in Sunrise about 10 miles west of Fort Lauderdale on Saturday night. Mom adored the show. Must be the fact that Barry is a nice Jewish biy from Brooklyn. But after seeing Barry in action and not seeing too many heterosexual males younger than 50 in the audience, the momster had to admit: "I guess he's gay." Outside of the arena that's named after a bank, the Barry fans sat and waited to get in. That's Tom Cruise's flyer saucer coming in for a landing for the concert. Only kidding folks. That's the Bank Atlantic Arena's idea of a South Florida decorations on its plaza outside the arena. Inside the arena, we sat behind three drunk 40-something women. I know, 15,000 people in the joint the only three women who show up wasted end up sitting right in front of us. Here's the drunkest one of the bunch. Welcome to Saturday morning in Boca Raton. I was at the start of a 52.4-mile roundtrip to Fort Lauderdale, where I used to live and work as a newspaper reporter about 10 years ago. The Boca bus stops are a little different than the 1-800-Call-Gary ones in Tampa. The Pompano Beach Pier is a popular hangout. Good ol' Fort Lauderdale Beach. I know her well. I used to live and work in Fort Lauderdale in 1998-99 when I worked at the Sun-Sentinel. Without bike lanes, cyclists pedal in the traffic lane. They have a right to be there in the lane, but there's not as much room on the road to share and an inattentive motorist can can get dangerously close to a bicyclist. With bike lanes, cyclists safely pass me, then return to the bike lane and cars also have room to pass when we're in the bike lane. In Boca, on the way back from Fort Lauderdale.